Home prices climbed in the second quarter of 2013, marking 15 consecutive months of rising prices, according to the Salt Lake Board of Realtors®. The median single-family home price in the April through June period in Salt Lake County increased to $249,700, up 17.2 percent compared to $213,000 in the second quarter of 2012. Since April 2012, home prices in the Salt Lake area have increased every month year-over-year. Neighboring Davis County saw its median home price climb 7.6 percent. Utah and Weber counties experienced double-digit gains at 12.6 percent and 13.8 percent respectively. In Tooele County, home prices climbed 14 percent. The top three highest-priced sales areas along the Wasatch Front in the second quarter were: Alpine (84004) at a median price of $529,000, up 27.3 percent; Holladay (84117) $412,650, up 11.5 percent; and Draper (84020) at $409,900, up 25.0 percent. The number of single-family homes sold by a Realtor® in Salt Lake County in the second quarter climbed to 3,430 units, up 12.2 percent compared to 3,058 single-family homes sold in the second quarter of 2012. 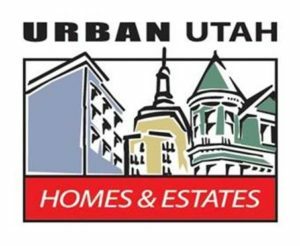 Condominium sales in the Salt Lake area also showed gains, rising to 750 sales in the second quarter, up 25.0 percent compared to 600 sales (year-over-year). The median condominium price increased to $170,000, up 21.4 percent compared to $140,000 a year ago.